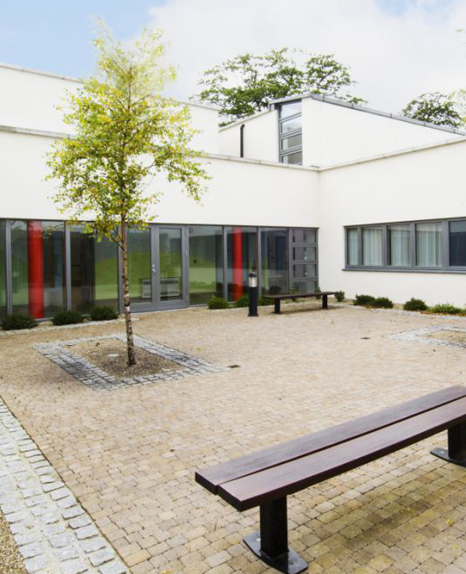 The children’s therapy centre on Waterford Regional hospital Campus is an exciting concept with contemporary design utilising stone facades and an extensive glazed canopy, along with state of the art mechanical and electrical energy saving technology. In addition the building achieved excellent air tightness results, well in excess of the design parameters. The building is generally single storey with some double height areas, all laid out about a Central Courtyard with tie ins to existing units. The building required particular care with set out tolerances extremely demanding. 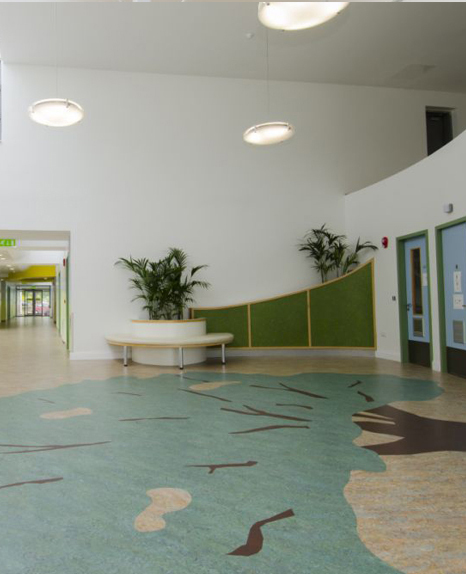 In order to accommodate the curved stone installation particular care was taken to ensure the building was constructed to the highest and most exact standards. 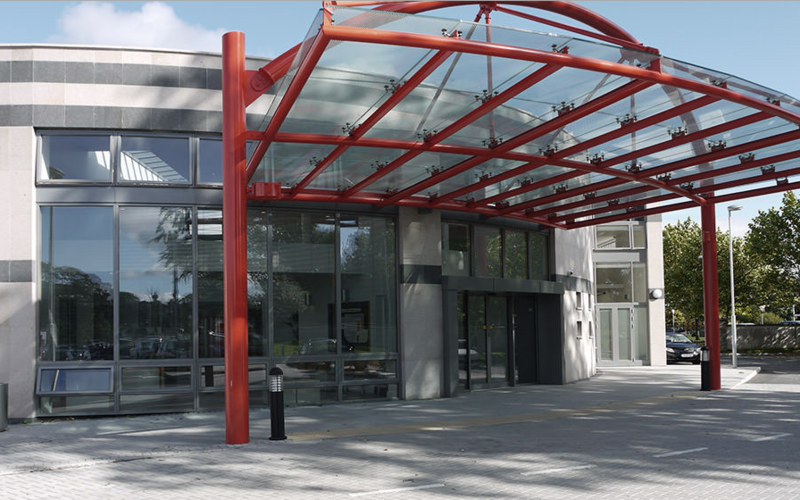 The client wanted to achieve a high energy efficiency combined with a striking modern building. 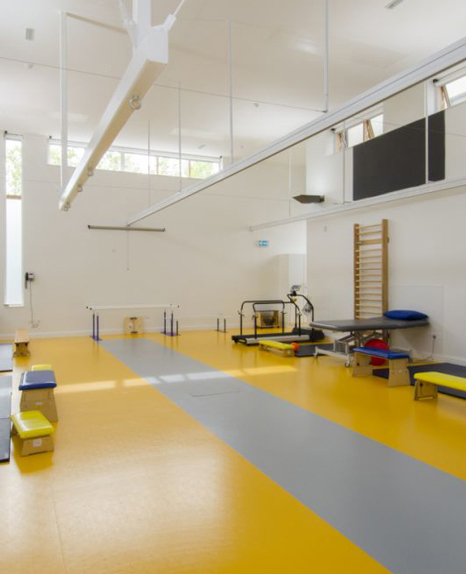 This project showcases our ability to deliver high quality medical facilities. 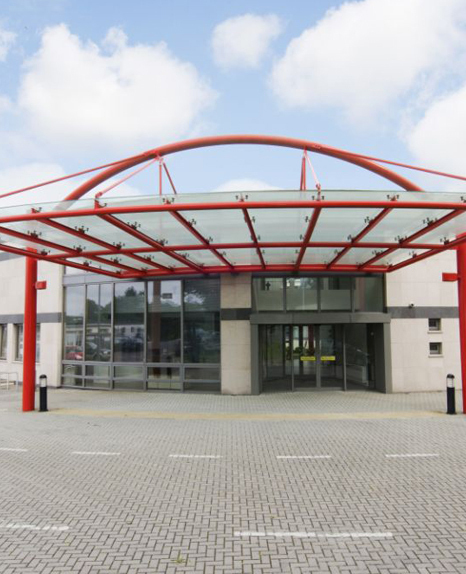 The design has achieved landmark status on the Waterford Regional Hospital Campus located at the main entrance and due to its striking design.